Johns Hopkins alumni write about everything from healing to romance to sports nutrition. Check us out! Pass your time intelligently. Discover what your fellow grads' fertile imaginations are producing in the way of fiction. From business and medicine to food and culture, learn more about what Hopkins alumni have published on a range of important and entertaining topics. Like the university’s founder, Hopkins grads thrive in business. And they’re publishing their insights. Browse business books from alumni. Investigate topics of a more inward nature. Discover Hopkins alumni who offer books that contain wisdom, insight and advice on these important subjects. Hopkins graduates play a prominent role in many, if not most, medical and public health fields. Find their books here. Unlock the power of language to surprise and enlighten by picking up poetry penned by a fellow graduate. The next best thing to eating and drinking, of course, is reading about it. Fortunately, eating and drinking are two things we Hopkinsians know—and sometimes write about. Bon Appetit. Read for yourself. Read for others. Share the delight of a growing treasury of children's literature by Hopkins graduates. Some books by alumni—like the authors themselves—defy simple categorization. Don't let that stop you from finding out more. Know of a published author who's graduated from Hopkins? Submit a new author or work to the Alumni Association's Alumni Bookshelf we'll help spread the word. The University does not necessarily post all submissions it receives. 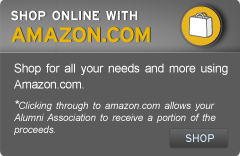 The University, through its relationship with amazon.com, receives a small portion of proceeds on click through sales through amazon.com. Written a book of your own? Let us know if you or a JHU alum you know has written a book, and we may feature it on this page.